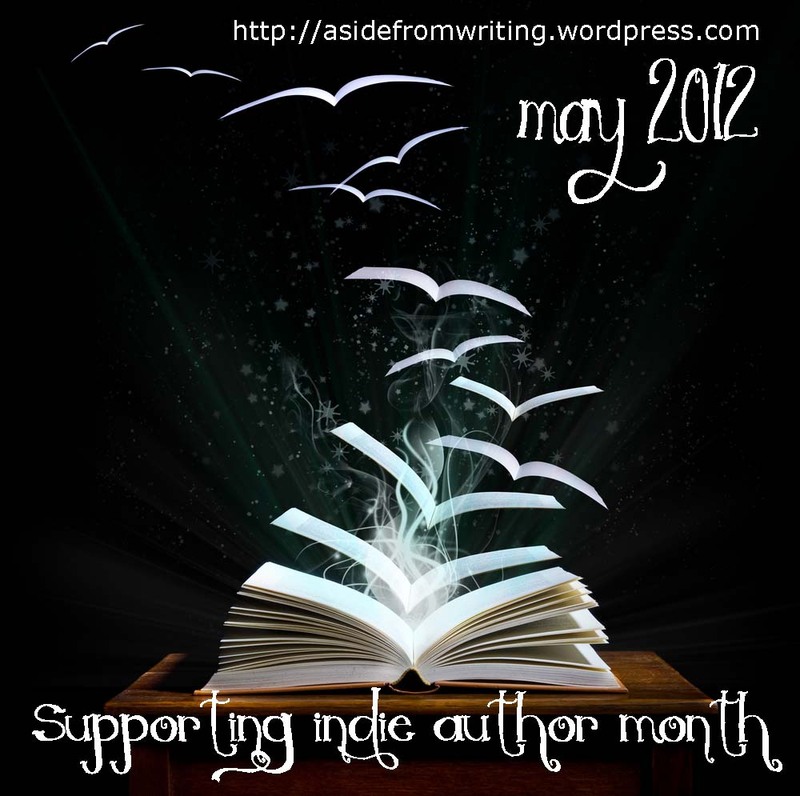 It’s Coming Soon…Indie Author Month! OK…so it’s not long now…all of the authors have now enlisted for our huge Indie Author Month event in May and we’re excited to feature a whole range of giveaways as part of the event – including a mega book stash of over 30 books for one lucky winner, as well as opportunities on the day to download free copies of several books featured. We’d love to have you’re support for the event, so if you run a blog / facebook page and would like to feature our event button, please copy one of the two below and add to you page(s) with a link back to https://asidefromwriting.wordpress.com Then come back and visit us every day in May to meet new authors, find great books and sort out your summer reading list! This entry was posted in Events, May 2012 - Indie Author Event and tagged competition, event, free books, giveaways, indie author month, indie authors, special event, summer reads, ya authors. Bookmark the permalink.